Thats all. Game finished - Hannover 96 0, Borussia Mönchengladbach 1. Second Half ended - Hannover 96 0, Borussia Mönchengladbach 1. Nico Elvedi - Borussia Mönchengladbach - won a free kick in defence. Thorgan Hazard - Borussia Mönchengladbach - won a free kick in defence. 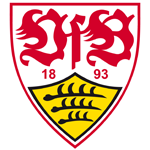 Matthias Ginter - Borussia Mönchengladbach - won a free kick in defence. Substitution - Hannover 96. Uffe Bech for Linton Maina. Missed chance. Raffael - Borussia Mönchengladbach - shot with right foot from the centre of the box is high and wide to the right. New attacking attempt. Alassane Pléa - Borussia Mönchengladbach - shot with left foot from the centre of the box is saved in the top centre of the goal. Assist - Christoph Kramer. New attacking attempt. Hendrik Weydandt - Hannover 96 - shot with right foot from outside the box is saved by goalkeeper in the centre of the goal. Assist - Sebastian Soto. Matthias Ostrzolek - Hannover 96 - won a free kick in defence. Felipe - Hannover 96 - won a free kick in defence. New attacking attempt. Michaël Cuisance - Borussia Mönchengladbach - shot with left foot from outside the box is saved by goalkeeper in the centre of the goal. Assist - Raffael. Substitution - Hannover 96. Sebastian Soto for Genki Haraguchi. Substitution - Borussia Mönchengladbach. Michaël Cuisance for Denis Zakaria - injury. Missed chance. Christoph Kramer - Borussia Mönchengladbach - shot with right foot from outside the box missed. Assist - Patrick Herrmann. Delay in match Denis Zakaria - Borussia Mönchengladbach - - injury. Nicolai Müller - Hannover 96 - won a free kick in attack. Substitution - Borussia Mönchengladbach. Jonas Hofmann for Florian Neuhaus. Felipe - Hannover 96 - won a free kick in attack. Corner - Borussia Mönchengladbach. Conceded by Julian Korb. New attacking attempt. Hendrik Weydandt - Hannover 96 - shot with right foot from the centre of the box is saved by goalkeeper in the centre of the goal. Assist - Linton Maina. New attacking attempt. Florent Muslija - Hannover 96 - shot with right foot from the left side of the box is saved by goalkeeper in the centre of the goal. Assist - Linton Maina. Substitution - Hannover 96. Florent Muslija for Pirmin Schwegler. Hendrik Weydandt - Hannover 96 - won a free kick in attack. New attacking attempt. Christoph Kramer - Borussia Mönchengladbach - shot with right foot from the centre of the box is saved in the right corner. Assist - Raffael. Corner - Borussia Mönchengladbach. Conceded by Felipe. Missed chance. Nicolai Müller - Hannover 96 - shot with right foot from outside the box goes high. Assist - Pirmin Schwegler. Goal! 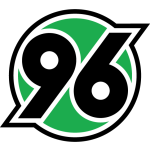 Hannover 96 0, Borussia Mönchengladbach 1. Raffael - Borussia Mönchengladbach - shot with right foot from the centre of the box to the top right corner. Shot blocked. Florian Neuhaus - Borussia Mönchengladbach - shot with left foot from outside the box is blocked. Assist - Christoph Kramer. Missed chance. Linton Maina - Hannover 96 - shot with left foot from the left side of the box is close, but missed to the left following a fast break. Christoph Kramer - Borussia Mönchengladbach - won a free kick on the left wing. New attacking attempt. Hendrik Weydandt - Hannover 96 - shot with the head from the centre of the box is saved by goalkeeper in the centre of the goal. Assist - Pirmin Schwegler with a cross. Matthias Ostrzolek - Hannover 96 - won a free kick on the left wing. Corner - Borussia Mönchengladbach. Conceded by Pirmin Schwegler. Second Half starts Hannover 96 0, Borussia Mönchengladbach 0. First Half ended - Hannover 96 0, Borussia Mönchengladbach 0. Nicolai Müller - Hannover 96 - won a free kick in defence. Missed chance. Nico Elvedi - Borussia Mönchengladbach - shot with the head from the centre of the box missed to the left. Assist - Patrick Herrmann with a cross after corner. Corner - Borussia Mönchengladbach. Conceded by Marvin Bakalorz. Shot blocked. Denis Zakaria - Borussia Mönchengladbach - shot with right foot from outside the box is blocked. Assist - Florian Neuhaus. Corner - Borussia Mönchengladbach. Conceded by Matthias Ostrzolek. Missed chance. Felipe - Hannover 96 - shot with left foot from the centre of the box goes high. Assist - Nicolai Müller . Hendrik Weydandt - Hannover 96 - won a free kick on the left wing. Shot blocked. Christoph Kramer - Borussia Mönchengladbach - shot with right foot from the right side of the box is blocked. Assist - Raffael. Corner - Borussia Mönchengladbach. Conceded by Waldemar Anton. Missed chance. Florian Neuhaus - Borussia Mönchengladbach - shot with left foot from outside the box is very close to the goal. Assist - Alassane Pléa. Shot blocked. Raffael - Borussia Mönchengladbach - shot with right foot from the centre of the box is blocked. Assist - Thorgan Hazard. Corner - Hannover 96. Conceded by Tobias Strobl. Thorgan Hazard - Borussia Mönchengladbach - won a free kick on the left wing. Missed chance. Thorgan Hazard - Borussia Mönchengladbach - shot with right foot from outside the box is high and wide to the right. Assist - Florian Neuhaus. New attacking attempt. Denis Zakaria - Borussia Mönchengladbach - shot with right foot from the left side of the box is saved in the left corner. Assist - Thorgan Hazard. Missed chance. Florian Neuhaus - Borussia Mönchengladbach - shot with left foot from outside the box goes high after corner. Shot blocked. Nicolai Müller - Hannover 96 - shot with right foot from outside the box is blocked. Assist - Genki Haraguchi. New attacking attempt. Thorgan Hazard - Borussia Mönchengladbach - shot with right foot from the centre of the box is saved in the right corner. Assist - Alassane Pléa. New attacking attempt. Alassane Pléa - Borussia Mönchengladbach - shot with right foot from outside the box is saved in the left corner. Assist - Tobias Strobl. Denis Zakaria - Borussia Mönchengladbach - won a free kick in defence. Corner - Hannover 96. Conceded by Yann Sommer. New attacking attempt. Nicolai Müller - Hannover 96 - shot with right foot from the right side of the box is saved in the top right corner. Assist - Pirmin Schwegler. New attacking attempt. Thorgan Hazard - Borussia Mönchengladbach - shot with right foot from the left side of the box is saved by goalkeeper in the centre of the goal. Assist - Alassane Pléa. Christoph Kramer - Borussia Mönchengladbach - won a free kick in defence. Shot blocked. Genki Haraguchi - Hannover 96 - shot with right foot from outside the box is blocked. Assist - Matthias Ostrzolek. Corner - Hannover 96. Conceded by Nico Elvedi. Shot blocked. Linton Maina - Hannover 96 - shot with left foot from the centre of the box is blocked. Assist - Hendrik Weydandt. Shot blocked. Florian Neuhaus - Borussia Mönchengladbach - shot with right foot from the centre of the box is blocked. 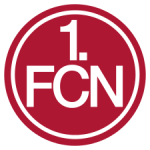 Florian Neuhaus - Borussia Mönchengladbach - won a free kick in attack. Missed chance. Nicolai Müller - Hannover 96 - shot with right foot from outside the box is high and wide to the right. Assist - Hendrik Weydandt. Substitution - Borussia Mönchengladbach. Raffael for Lars Stindl - injury. Delay in match Matthias Ostrzolek - Hannover 96 - - injury. 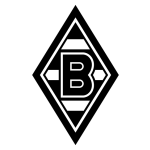 Delay in match Lars Stindl - Borussia Mönchengladbach - - injury. 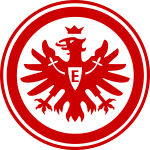 Get real-time football commentaries and full coverage for the Bundesliga match Hannover 96 vs. Borussia M'gLadbach, powered by Scorenga.co.uk. 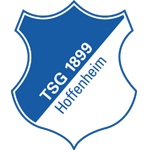 This page is dedicated to one of the most exciting Bundesliga clashes. Here you will find a summary of the game, standings and photos.